Bancroft Wines has announced its appointment as exclusive UK agent for Rioja estate Bodegas Remírez de Ganuza. Located in the Rioja Alavesa village of Samaniego, Remírez de Ganuza was founded in 1989 and now owns 68 hectares across 100 separate plots in the region, with an average vine age of 60 years old. 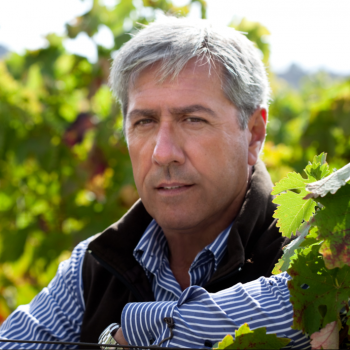 The estate is widely regarded as one of Rioja’s top “new wave” producers, although owner Fernando Remírez de Ganuza prefers to align himself with quality focused estates rather than either the region’s traditional or modernist camps. Nevertheless, with its use of 100%, mostly French, new oak; a patented water bag press for its top wine, Transnocho; and a rigorous selection process that sees the “shoulders” and “tips” of grape bunches separated to ensure a richer reserve wine, Remírez de Ganuza stands out as distinctly modern in its approach. Bancroft will be showing the latest vintages from Remírez de Ganuza during the London International Wine Fair next month at stand N20.